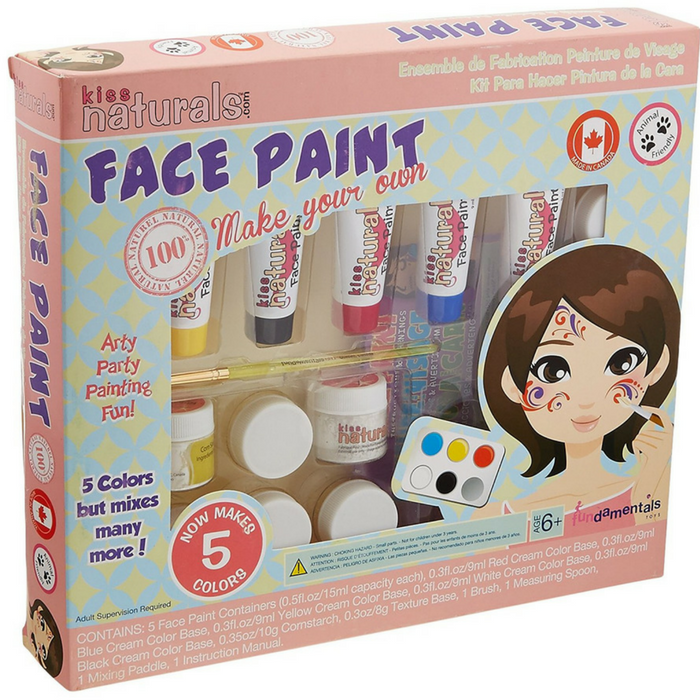 Kiss Naturals DIY Face Paint Making Kit Just $9.95! Down From $20! You are here: Home / Great Deals / Amazon Deals / Kiss Naturals DIY Face Paint Making Kit Just $9.95! Down From $20! Your kids would surely enjoy this! Hurry over to Amazon where you can score this Kiss Naturals DIY Face Paint Making Kit for just $9.95 down from $19.99 PLUS FREE shipping with Amazon Prime or for orders over $25! Be the life of the party with this Face Paint Kit! First, you get to make it, then let your creativity run free as you mix, match and paint with the included palette and brush! I’m pretty sure your kids would love this!